Expert negotiator Josh Masters shares his fail-proof tactics that will ensure you get the best possible outcome from any negotiation. Negotiation is often a duty HR professionals dread – but Josh Masters, author of Why Property Why Now and an expert negotiator – shared his secrets to success with HRD magazine. According to Masters, it’s important for both parties to separate the inevitable problems that arise during negotiation from the person they are dealing with. “[This] avoids personality clashes and focuses on solutions rather than [leading to either party] becoming defensive or unreasonable,” he explained. 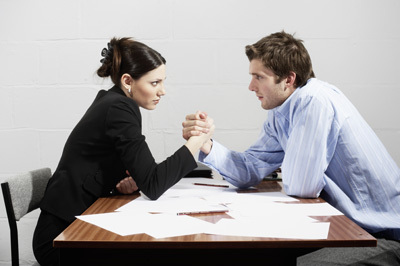 This allows negotiators to divert their energy away from confrontation and focuses their attention on solving issues. Determining the reasons behind the other party’s decisions is an invaluable strategy as it gives you the opportunity to create a solution, often in return for what you want. Playing the blame or reacting negatively will work against you goals, Masters advised. Granting flexibility increases the likelihood of the other negotiator giving you what you want. “If you can decide what you want before you go into the negotiation, as well as the best offer you can make and which terms you can and can’t waver on, you can often give the other party what they want without having to sacrifice your position,” Masters advised. This technique can be valuable when the other party is poised for a favourable outcome.